The Sharp TV brand is trying to maintain a sense of identity after being taken over by Chinese manufacturer HiSense last year. At CES, Sharp announced several new TVs, distinct from the ones that HiSense revealed at the same time. While both brands are including emerging tech such as quantum dots, HDR, and 4K resolution, several of Sharp’s TVs are larger than anything HiSense offers. The top-of-the-line N9000 series, for instance, comes with either a 70-inch display for $3300 or a 65-inch curved display for $3000. Both include quantum dot technology, which helps achieve a wider color gamut compared with standard LED/LCD backlighting. They also support HDR, which allows videos to show greater contrast (think deeper blacks, brighter whites, and more vibrant colors). Sharp’s large-screen push carries over to the N8000 line, which comes in 70-inch ($2300) and 75-inch ($3000) screen sizes with 4K resolution. 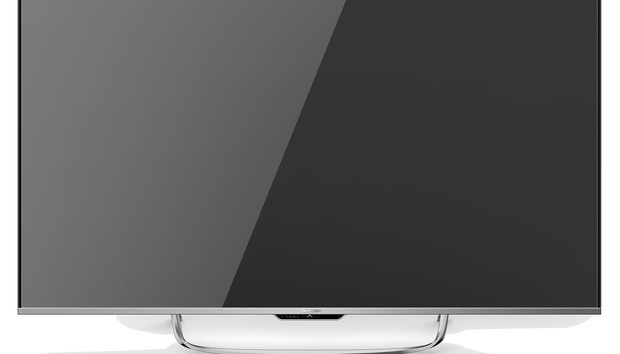 The N8000 series lacks quantum dot tech, but does support HDR, and uses a proprietary backlight scanning method called “AquoMotion” to provide smoother motion. They also include local dimming, which dials down backlight brightness on darker parts of a scene to make black levels lower. Things start to look a bit more generic moving down to the N7000 series, though it does include a 70-inch 4K TV with full-array local dimming for a respectable $1500 suggested price. The other models—starting at $500 for a 43-inch set—don’t include local dimming at all. Meanwhile, Sharp’s N6000 series serves as an entry-level 4K line, with prices of $450 for a 43-inch set to $750 for a 55-inch screen. Most of these TVs use Sharp’s own smart TV platform, but the company is continuing to use Roku for its N4000 series. These aren’t 4K panels—so far, TCL is only vendor to announce a 4K Roku-powered TV—and appear to be entry-level sets. Prices range from $250 for a 32-inch TV to $60 for a 55-inch set. Sharp hasn’t given a release date for most of these products, but says the N9000 should arrive in early- to mid-2016.